Turkey consists of several holiday locations that the average person can afford and would no doubt appreciate. If you visit the country in the winter time and want to take part in a few winter sports, then you should head to Bursa where the winter sports resort on Mt. Uludag is situated. The countrys largest city is Istanbul, a place that is conducive to sightseeing and an active nightlife. In Istanbul there are private and public beaches there as well as walking tours to several museums. 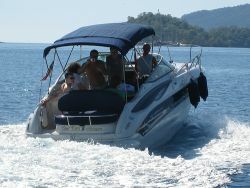 Elsewhere in Turkey is Antalya, which is the location for several beach resorts. And get your cameras ready to photograph the majestic Sumela Monastery located in Trabzon. Turkey also offers unique items that you can take back to your country as a souvenir. The most popular items purchased include leather clothing, carpets that feature unique prints and silk items such as scarves and dresses.